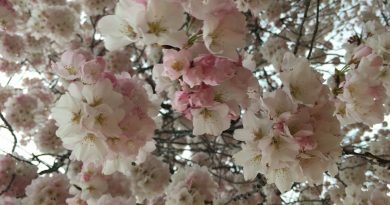 Our next first-year student spring break update comes from Gioia, who combined working at her Boston-area internship with Boston-area tourism, as well as a short visit to DC. 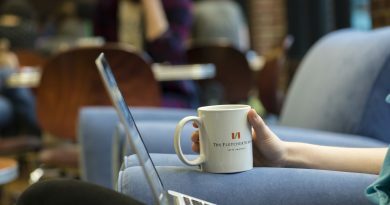 Spring break is now in the rear view mirror, and Fletcher students are very much in the home stretch toward finals. That means it’s time hear a bit from our first-year student bloggers on how they spent their break. 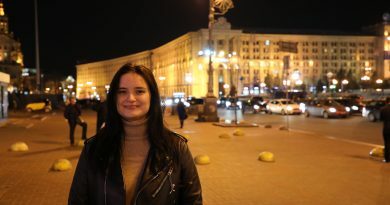 First up is Lisa, who took the opportunity for a visit to her native Ukraine. 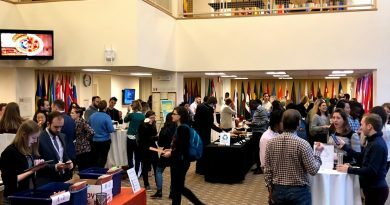 Tufts 100K New Ventures Competition – Fletcher cleans up! Not too long ago I congratulated current Fletcher student Farah Momen on receiving this year’s D-Prize for The Now Exchange (TNE), an enterprise providing health access and agency to Bangladeshi women in that country’s garment industry. We recently learned that Farah and her business partner Giulia Bova are continuing an awards run that would make Rami Malek and Bohemian Rhapsody jealous, having also just placed first in the Social Impact Track of the Tufts $100K New Ventures Competition! It’s only Wednesday, but it’s already been an exciting week at Fletcher! 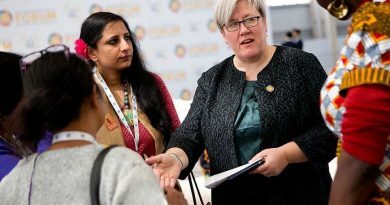 This past Monday saw a beautiful confluence of events: the 160+ visitors here for admitted student Open House were treated to the news of the appointment of Rachel Kyte as the next Dean of The Fletcher School. Below is the announcement to the Tufts community from President Anthony Monaco and Provost Deborah Kochevar. You can also read the press release and view and introductory video on the Fletcher website. A hearty welcome to Dean Kyte! 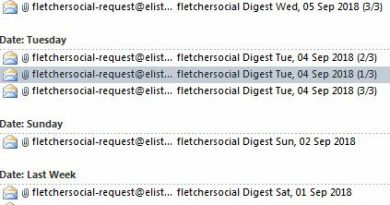 It’s time for our semesterly check-in on the Social List, that teeming, largely-unfiltered, ongoing omnibus conversation the Fletcher student community has with itself over email. This is a good time of year to appreciate the Social List in its full glory: there are still a variety events taking place over the next few weeks before the run-up to finals and commencement, but there’s also already a smattering of end-of-year transactions (lots of graduation robes and household items for sale), as well as occasional evidence of a number of students getting a bit punchy as the academic year hits its home stretch. Potential grad students are understandably eager to gather as much insight as possible into the programs they’re considering. Applicants want to demystify the admissions process, admitted candidates want to know more about the culture and community of particular schools, and enrolling students want to figure out how to start quickly to get everything they can out of their program. We do our best to provide as much useful information as we can, as transparently as possible, in a variety of formats (emails, newsletters, online chats, virtual info sessions, in-person events, FAQs, individual correspondence, and this blog, to name a fistful). It’s natural, though, for people to want more from time to time. In spite of our best efforts, we may not always provide the specific detail you’re looking for. Sometimes you may just want insight from an outsider; we’ll always be straight with you, but it’s true that we think Fletcher is a pretty special place, and we want you to think so, too.